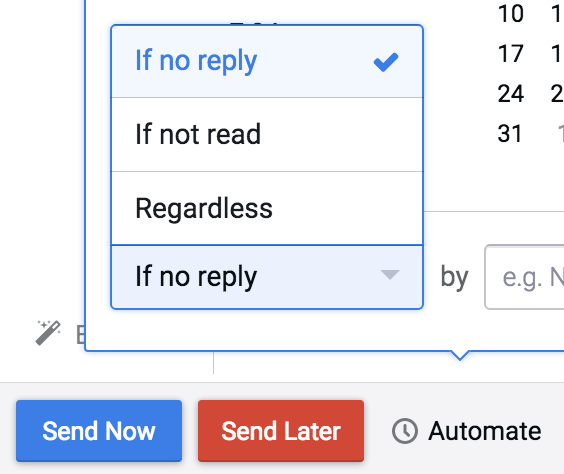 You can now add a recipient to a sequence directly from Gmail with one of two methods. Hover over Automate at the bottom of the compose window, and a pop-up will appear. Click the Add to Sequence tab. Then select the sequence to which you'll add the recipient. And choose the date when the sequence will send for the recipient. Access your Sequences from the Insert menu in the top right of a new message window. When you select one, it inserts in the window, and all the stages and their triggers will be clearly displayed. 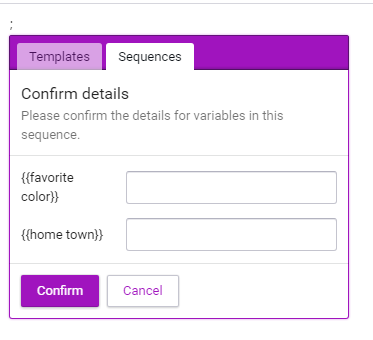 Once you add a recipient to your sequence, they’ll show up in your Sequences section of the web app, where you can personalize upcoming stages or remove recipients as needed. When inserting a sequence with custom variables you will have the option to define your variables before inserting the sequence. On the Growth and Enterprise plans, you can also customize sequences right from the compose window. First, go to the Insert menu and pick a sequence. Next, click Edit in the yellow box that appears at the bottom of your message. You’ll see a preview of all your stages which you can edit as you like. 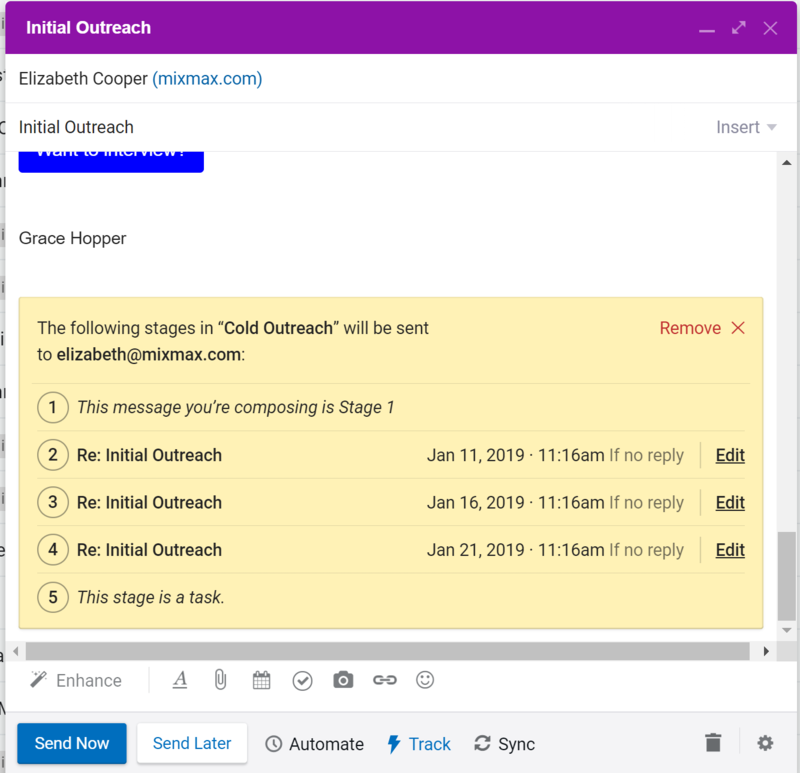 Set up the sequence to send as replies — or to send as separate emails. 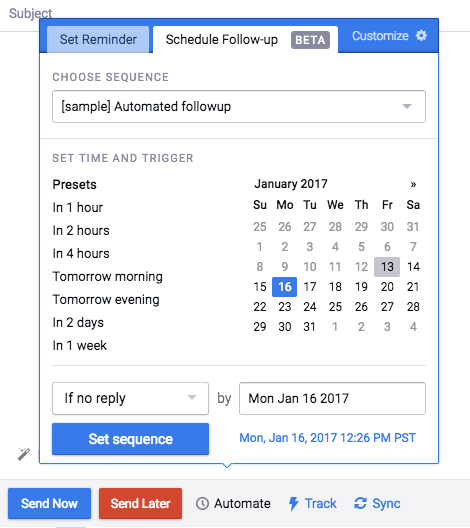 When adding a recipient to a sequence using the Automate menu, if you want the sequence to be added as a reply to the message you're writing in Gmail, be sure that when you first set up your sequence your sequence has no subject line. Here's more on subject lines in sequences.